​For the past (many) years my health and body have both been a work in progress, to find a natural balance of what works for me. Almost 5 years ago the next stage of my health journey began and with a lot of trial and error, just over 2 years ago I found my saving grace. With baby steps I’ve gotten to where I am today with a much clearer picture of the road ahead. I am the healthiest I’ve been in years, stronger emotionally and physically. I have energy, I am finally sleeping well, I have motivation and drive. Best of all I have all this to spend with my family and friends enjoying life, enjoying things I love. Even finding a new love in things I used to dread… like exercise! Lack of energy can really kill a person’s motivation – quickly! Feeling tired all.the.time. wears thin pretty quick. My trip to Utah a couple weeks ago jump started this next part of my journey and I am crazy excited! With an amazing walking partner at Mads skating nights, some excellent quick work out plans at home AND a ‘Drop It Like It’s Hot’ group challenge beginning very soon… IT IS MY TIME!!! Thank you @doterra for not only providing me with exactly what my body needs but also connecting me with some amazingly supportive people! I have never felt as good as I do today and it’s only going to get better!!! Tonight being a home night I whipped through this great 20 min pilates work out… it seriously went SO quick! 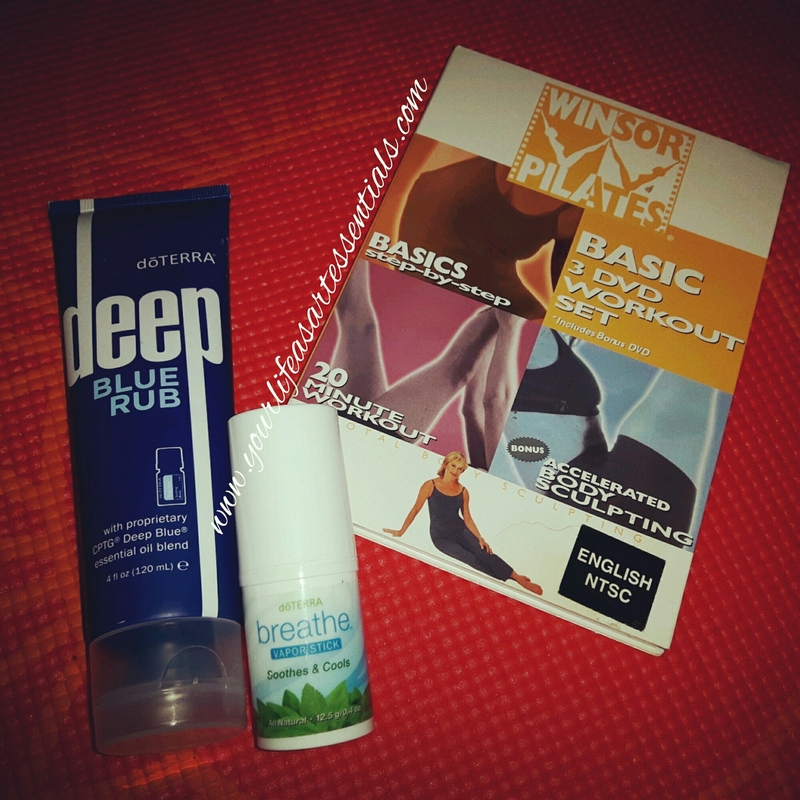 I prepared myself before with some Breathe on my chest to support my breathing and I will be lathering on some deep blue tonight to soothe the muscles that were suddenly awakened lol!